Twenty years ago, I used to see a lot of articles telling people how to retire at 55. Today, not so much. The collapse in annuity rates and demise of workplace final salary schemes makes generating enough money to retire early beyond most of us. However, it can still be done. Even if you do not hit 55, by saving today you could still retire several years before you would expect to, and have a far better time of it as well. To hit that retire at 55 target, I’m sorry to report that it helps to start young. I am 52 and I am not going to achieve it short of winning the Lottery, which is a shame, as I do not play the Lottery. However, a financial advisory group called the Pension Review Service (PRS) reckons you can do it if you start at age 30. PRS calculates that if you started at that age, you would need to set aside £1,000 a month to achieve a big enough pension pot to deliver an annual income of £26,000 by age 55. That is roughly the current national average wage and while it will not let you retire in wealth and splendour, it should give you a pretty decent lifestyle (especially if you have paid off your mortgage and any other debts). The PRS calculates that a 30-year-old who puts aside £1,000 a month, and crucially, increases this contribution with inflation, could build a retirement pot of around £625,000 by the time they’re 55, assuming 6% growth after charges. This £1,000 is before tax relief, which at the basic rate lifts it to £1,200. Invest your money in a balanced portfolio of stocks and shares such as this unmissable big name FTSE 100 dividend stock, or a spread of low-cost exchange traded funds (ETFs) or investment trusts. Aim to pay the lowest charges you can. Look, I know what you are thinking. It cannot be done. Who can spare £1,000 a month? At age 30, you are likely to have other financial priorities, such as getting on the property ladder, starting a family, or eating. You may already be 35, or 45, or older, and wondering if you will ever retire. You may not even want to retire at 55, because you like working. However, this makes no difference to the general principle. 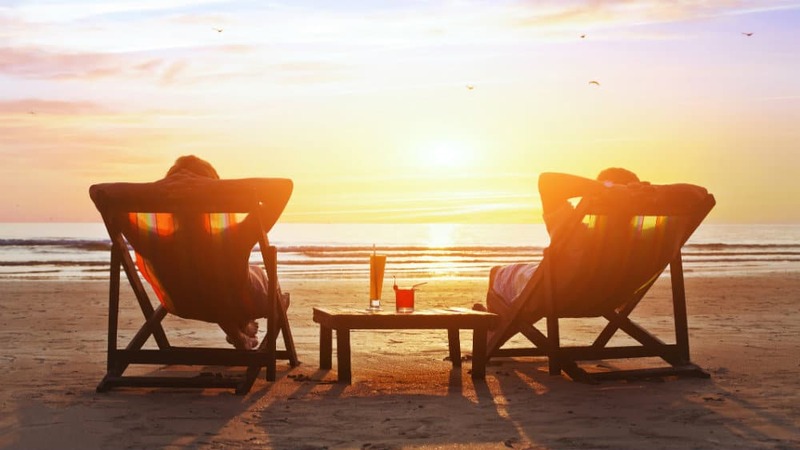 If you want to retire at some point, you need to save as much as you can, as early as you can. Even if you are over 60, there are things you can do. If £1,000 a month is beyond you (it’s beyond me) then start with £10 a month, or £100, and increase it when you have cash to spare, or, say, get a pay rise. Then submit yourself to the magic of compound interest, by reinvesting all your dividends. Those dividends pick up more stock, which generates more dividends, which buy more stock, which generates more dividends, and so on and so on, until you can finally afford to retire in comfort. Whenever that is.